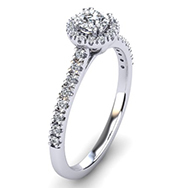 The engagement ring finds the perfect symbol of ever-lasting love with the addition of the historically adored diamond. 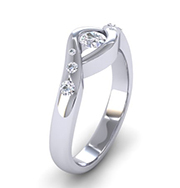 Its hardness and resulting strength proves to be ultimate expression of the promise made when getting engaged – to love each other for a life-time, your love proving stronger than any challenge that you may face. Just like the natural resilience of this beautiful mineral, being the hardest non-synthetic mineral on earth. 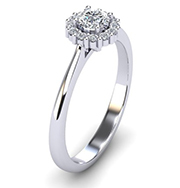 Our diamonds are conflict-free, all diamond sources at diamondrings.co.za are 100% ethical. 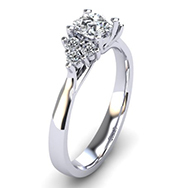 Our engagement rings are made with the finest quality natural diamonds, also referred to as “real diamonds”. Natural diamonds or “real diamonds” were made at about 160 km below the earth’s surface. It took between 1 – 3.3 billion years to create them under extreme pressure and heat (at least 1000 degrees Celsius). The rough diamonds were then thrust closer the earth’s surface by a very specific type of volcanic eruption. 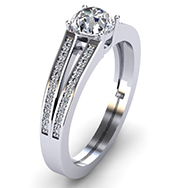 This epic journey makes them more valuable than their synthetic diamond counterpart (cubic-zirconia), or lab-grown diamonds, which are produced in laboratories by machinery that exerts high heat and high pressure. 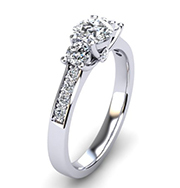 The price of a diamond is determined by its carat, colour, cut and clarity. 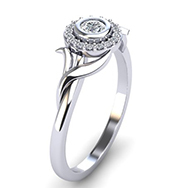 The most expensive diamonds are colourless (grade D – F) and flawless or have very slight inclusions (VVS1-2). 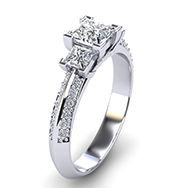 Meaning that their flaws are not visible to the naked eye, and can even be difficult for skilled diamond graders to see when using specialized magnifying tools. 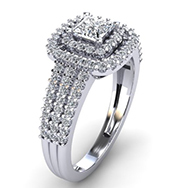 A perfect diamond needs to be cut with precision in order to ensure that it achieves the highest gloss and most precise appearance. 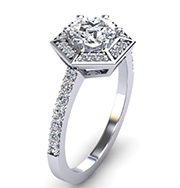 The more expertly cut facets, the more fire and sparkle the diamond engagement ring will have. 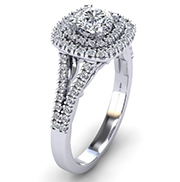 When looking online for that perfect engagement ring, aside from the price of the diamond and type of precious-metal, ring size is also important. 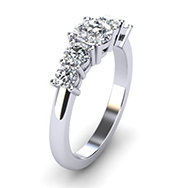 If you do not know your partner’s ring-size and you are planning a surprise proposal then there are a few ways to determine what it is. 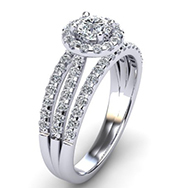 Ideally, rings and finger sizes should be measured at a jewellery store with specialized measuring equipment. 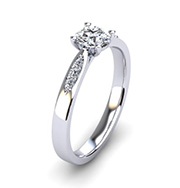 You can also measure an existing ring that your loved-one wears on her ring-finger, or one that is of similar size to the left ring-finger, that engagement rings are traditionally worn on. 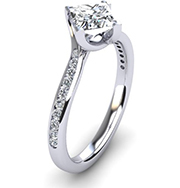 With this measurement you can reference our ring-size chart for a more accurate ring-size estimation. 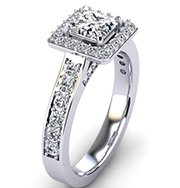 If the ring design that you ordered does not fit – we will then offer one free resizing, subject to our terms on the ring-size chart page.